When you spend your days in the meat grinder of EVE you quickly come across the terms “ISK efficiency” and “attrition warfare”. Lowsec is a sponge for ships and resources, generally consuming but seldom producing. These laws of the land are reflected in the ships flown and the ISK invested. Indeed, the most efficient way to enjoy the content of lowsec is to fly cheap and do it often. It is the reasonable, measured and responsible thing to do. Where’s the fun in that? Today’s Lowlife concerns itself with the irresponsible and over-the-top – putting the pedal to the metal, going balls deep and risking everything, simply for the thrill of it, reason be damned! For most of us, getting from point A to point B in real life means driving a car or taking public transport, with an emphasis on accountability, economy and safety. So why then do some insist on doing it at reckless speeds with rides that are good for little else? The most efficient way of getting on top of a mountain is by helicopter, or not going at all. What could possibly be important about standing on the top, only to come down again? Still people will risk life and limb by climbing the rock face by hand, suffering pain and hardship to do it. Why bungee jump? You could be at home, paying your taxes, painting the house or organising the books in your shelf. Certainly that would be more efficient use of your time. I think you know what I’m getting at. The answer to all three questions is simple and extremely human: the experience (and the bragging rights that go along with it). 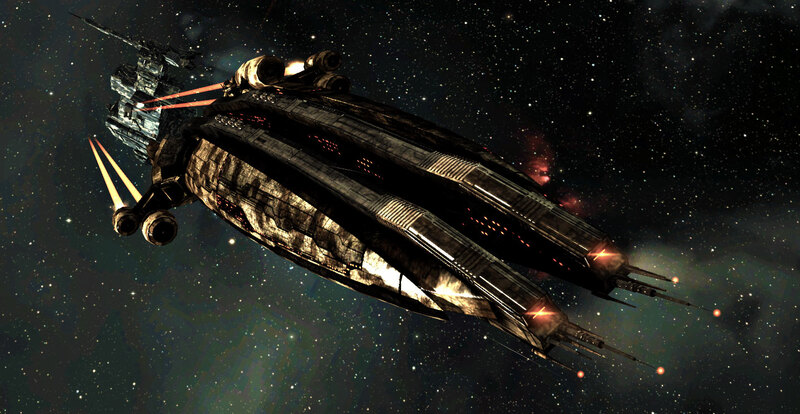 In EVE Online this school of thought translates into the ships you fly and how you fly them. Undocking a reasonably priced hull with a fitting that follows an economic regimen given the chance of losing it is the safe and responsible thing to do. In larger fleets that’s more often than not the only thing you are allowed to bring – for good reasons. An unbalanced fleet with loot piñatas in its midst makes target priority a lot easier for the enemy and means an uneven engagement profile, putting unnecessary pressure on the FC while distracting them with the potential loss of expensive ships. In other words, if you bring a Garmur to a Merlin fleet you’ll be sent packing, and if you’re not you can be sure the enemy FC will shoot, and most probably kill, you first. In small fleets or solo however, the opportunities to try something extreme open up. With a fleet of only a handful of people it is possible to really push the limits and take risks because it allows for dynamic, flexible and individual management, allowing for complex maneuvers and tactics. Flying solo and flying shiny is the most extreme way of pushing the envelope and, by the same token, the biggest thrill. It is difficult to justify or defend ‘blinging’ your ship in lowsec from a standpoint of reason, it’s an emotional thing. To use our car analogy, it is also difficult to motivate why you want lots of horsepower, uncomfortable sports suspension and loud noise – it clearly makes the vehicle less efficient at moving you from point A to B in a safe, comfortable, reliable and economically viable way. But there are those that put the pedal to the metal and fall in love at 5000 RPM, and as always with love, the first thing to go out the window is reason. It’s that thing, the thrill of being on the edge, and with a pounding heart, anticipation, fear and shallow breath, tasting what it means to be alive. That emotional and visceral need drives adrenaline junkies in EVE to do the same with their ships. Fits a tweaked a hundred times and so tight you couldn’t get a hair into them, always looking for that little extra, pushing ship and pilot to their utmost limits. I know this because I am one of them. I’m certainly not the best, most renowned or even particularly clever, nor do I have any illusions about ever being any of those things. But that’s not the reason I do it, I do it for the thrill. Everyone that knows me knows I’m head over heels in love with the Dramiel for example. It’s a stupid kind of love, unreasonable and absolutely irresistible. I have poured over that ship for countless hours and and I’m always working on the new fit, pushing that extra few percent of performance out of it and tricking it out with all manner of expensive module. The time invested has lent meaning to it and I have sense of pride at my creation. In doing this I am breaking one of the cardinal rules of EVE: getting attached to your ship. But damn it, I can’t help it, and therein lies the thrill. I undock ships and fight all the time, blowing up everything from derp frigates and cheap destroyers to serious HACs and navy issue battleships that cost a lot more than even my most blinged out fit. But nothing comes close to undocking my Dram. As soon as I see that hull my heart beats just a tiny bit faster because I know, when I undock that thing, for better or worse, I’m going to feel it. There is no shortage of reasons why not to chase the thrill by spending a lot of ISK and personal attachment to your ship. Although we have talked about breaking those rules, there are some things that should always be adhered to, no matter what. Just because your skills and your wallet say you can fly the ship of your dreams doesn’t mean you should. Always have all primary skills related to the ship and the fit trained to V, and all support skills to at least IV. Because there is no shortage of people out there willing to hunt you down and kill you for the bling and the bragging rights. You are flying a loot piñata, after all. It’s easy to get lost in stats and buy modules that are so expensive that any loss will be devastating. Push the limits, bend the rules, but be honest about what you can afford to lose. Undocking expensive ships in lowsec is a bad idea to begin with, and if you’re not careful, pricy modules can take that idea from ‘bad’ to ‘stupid’. Don’t cross that line. Practice. For most of the shiny ships out there there is a ship with a similar engagement profile, but at a fraction of the cost. Use these to hone your skills and test tactics, do it ten times, do it a hundred times or more, however long it takes to get comfortable with the tactics involved. Because when you’re out there, with a significant portion of your wallet and pride on the line, the shakes will set in and you’ll forget everything that hasn’t been drilled in, time after time. When you die, and you will, it is important to not go on ‘tilt’. Going on tilt means undocking again with the same expensive ship in frustration, hoping to erase the bad performance with a second chance. When you are agitated about your loss it will mess with your head and make you reckless, increasing the chance of stupid mistakes – something you certainly wish to avoid in this case. Take a moment to calm down, perhaps go get some kills in another, cheaper ship to settle your nerves, before you risk your favorite ride again. Be truthful with yourself. It may sound like the high life, but thrill-seeking in EVE is extremely stressful and can really spoil your day when it goes wrong. Not everyone is cut out for it and it may very well end up ruining your EVE experience. 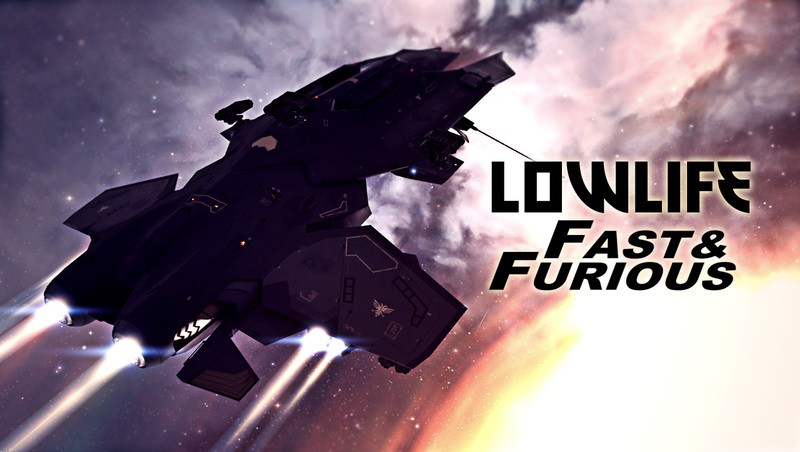 With all that said, there is nothing quite like flying fast and furious in EVE. Because sometimes it’s not about sober efficiency, sticking to the rules or a generally balanced attitude towards PvP in lowsec. Sometimes it’s just about going balls deep, putting your money where your mouth is and living a little. The defeats will hurt worse, but the victories and the experience are worth it.